SIS LIVE: SNG uplink and satellite capacity for Sky Sports. Milton Keynes, February 2014: Satellite connectivity and broadcast expert SIS LIVE is pleased to announce its new agreement with Sky Sports News for the provision of satellite capacity for its newsgathering operations. Sky Sports News, the leading 24-hour sports news channel in the UK, has a long relationship with SIS LIVE, having utilized its SNG services and satellite capacity for many years. This 4 year contract delivers 73MHz of capacity on the Eutelsat E16A satellite for the Sky Sports and Sky Sports News fleet of satellite newsgathering (SNG) vehicles, which are also supplied and operated by SIS LIVE. The fleet is located throughout the United Kingdom and delivers fast-response coverage of breaking sports news from any location. Sky Sports will make use of this satellite bandwidth for its live coverage of weekend football matches, which are also transmitted by SIS LIVE SNG vehicles. SIS LIVE’s scale and wide-ranging capabilities offer customers a true one stop shop experience, unrivalled by any other supplier in the UK. This is the latest in a series of new contracts with major customers which allow SIS LIVE to remain at the forefront of the provision of SNG services to the UK market place. SIS LIVE now provides satellite newsgathering capacity for every single news and sports news broadcaster in the UK. SIS LIVE is able to provide full resilience for the Sky downlink system, using its two broadcast teleport/MCR systems which offer round the clock coverage. 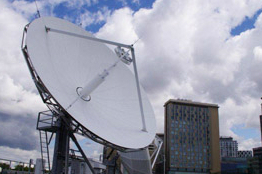 The teleports, located in Milton Keynes and MediaCityUK in Salford, are connected to the SIS LIVE national fibre network which has direct reach into strategic locations around the UK, including Sky’s facility in Osterley. SIS LIVE has previously supported Sky Sports News in a number of groundbreaking projects, including its record-breaking 92Live programme, which saw live broadcasts take place from each of the 92 football and Premier League grounds in the UK in just 12 hours. Sky Sports has also sought SIS LIVE’s expertise in the development of its Ultra HD (4K) capability, which has seen SIS LIVE uplink vehicles broadcast Ultra HD coverage of Premier League football over satellite.